Paygevity is a Title III - Regulation Crowdfunding Campaign and is actively accepting investments. For the last 50 years, large corporations all over the world have been paying their suppliers in 45, 60, 90 and even 120 days (McKinsey&Company). If you have ever supplied a good or service to a large corporation, you know exactly how painful this long waiting period is to your business (and your family). Our findings show that large corporations are late payors to their suppliers, but it is not because they don't have the cash. 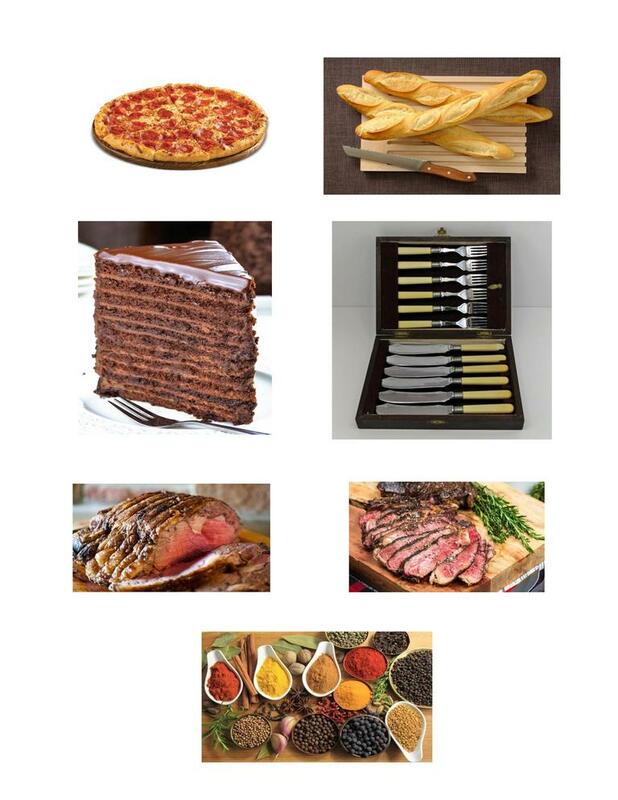 It's just the opposite. Some of the largest corporations in the U.S.A. that are late payors have billions of dollars of cash on their balance sheets (McKinsey&Company). Corporations are late payors to their suppliers because they would rather use their cash in ways that maximize their shareholder value rather than paying their suppliers on time. For example, corporations typically use their hoards of cash for capital expenditures, research & development, investment in new business units, acquisitions, share buybacks, raising their dividends, etc. These uses of cash contribute directly to maximizing a corporation's shareholder value. Paying suppliers on time can be described as an "ethical and noble" business practice; however, it does nothing to maximize a corporation's shareholder value. Who suffers because of these late payment cycles? The (small business) supplier suffers! How can a small business supplier wait 90 days to get paid from their large corporate customer? They can't! Suppliers have to make payroll to their employees every 14 days, buy inventory, keep the lights on and run their operations on a daily basis. Where do suppliers go in order to carry them (or float them) during these long payment cycles? Suppliers have gone to various commercial bank branches and requested a working capital loan. Unfortunately, these loans, called "Factoring Loans" or "Working Capital Loans," carry "crippling" terms and conditions on the supplier's business -- (1) high interest rates, (2) high fees, (3) personal guarantees required (i.e. pledging one's house as additional collateral), and (4) very low Loan-to-Value ("LTV") advance rates (typically 70% - 80% of the invoice/account receivable amount). Solving an efficient supply chain problem, decades in the making, is hard to fix overnight. We need your help to rebuild the backbone of this country -- small business! 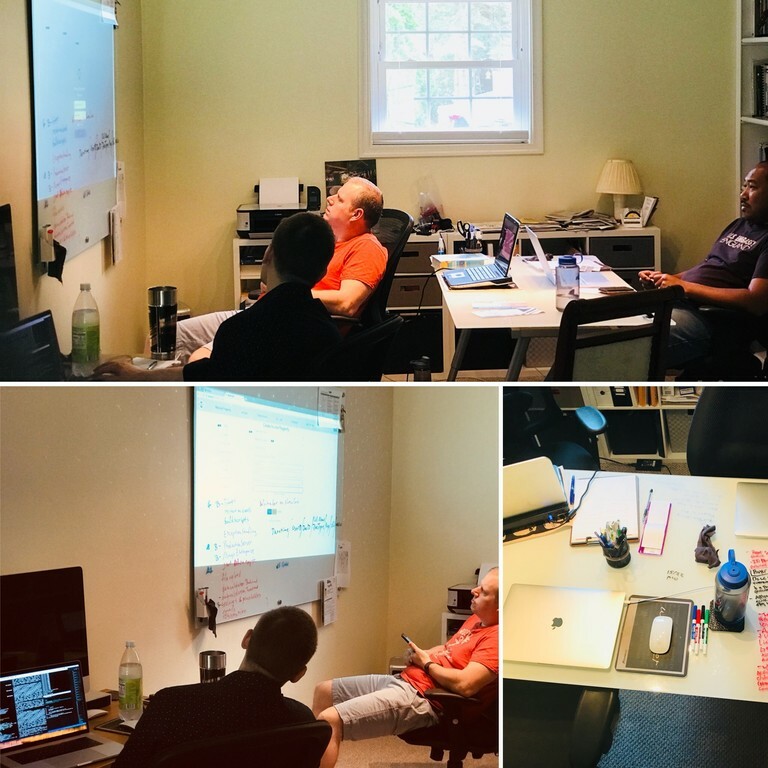 The inspiration behind Paygevity is to help small businesses get paid immediately on their invoices and disrupt the "vulture-like" commercial banking industry. The company name originates from a core financial principle: paying businesses promptly leads directly to the longevity of a business. Paygevity is able to transform the supply chain industry through financial and technological innovation. 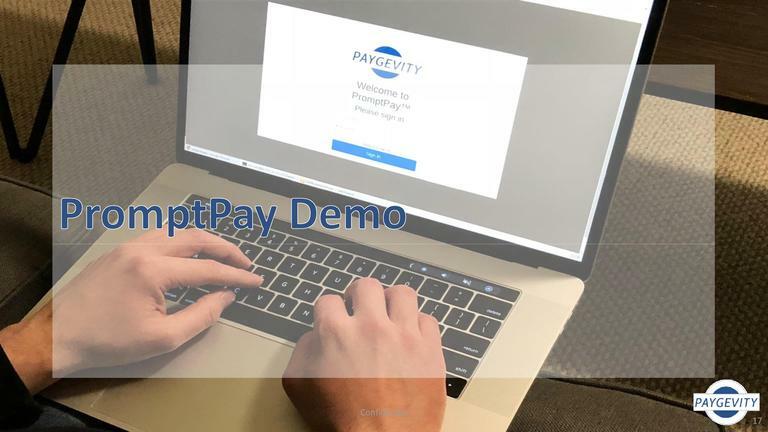 With the explosive growth of Paygevity's fintech payment platform, PromptPay, a small business supplier no longer has to wait 45, 60, 90 or 120 days to get paid on their invoices. Such suppliers no longer have to take out a "crippling" working capital loan to survive. 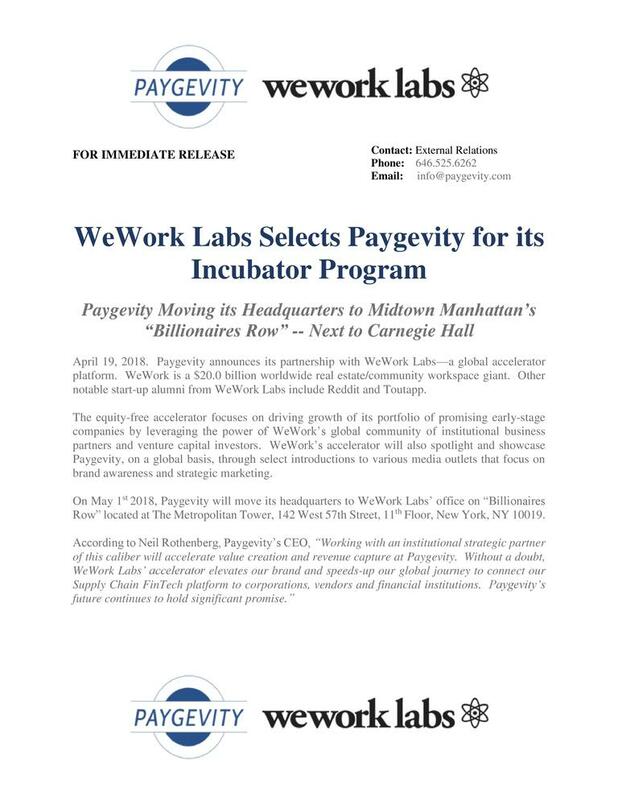 Paygevity, through the help (and capital) of its 3rd-Party Funding Partners on Wall Street, is able to pay ALL suppliers IMMEDIATELY on their invoices at slight discounts. Note converts to Series CF Preferred Stock when the company raises $1,000,000.00 or more in a priced round. *Annual Interest Rate subject to adjustment of 10% bonus for StartEngine shareholders. See 10% Bonus below. A convertible note offers you the right to receive Series CF Preferred Stock in Paygevity Inc.. The amount of Series CF Preferred Stock you will receive in the future will be determined at the next equity round in which the Company raises at least $1,000,000.00 in a qualified equity financing. 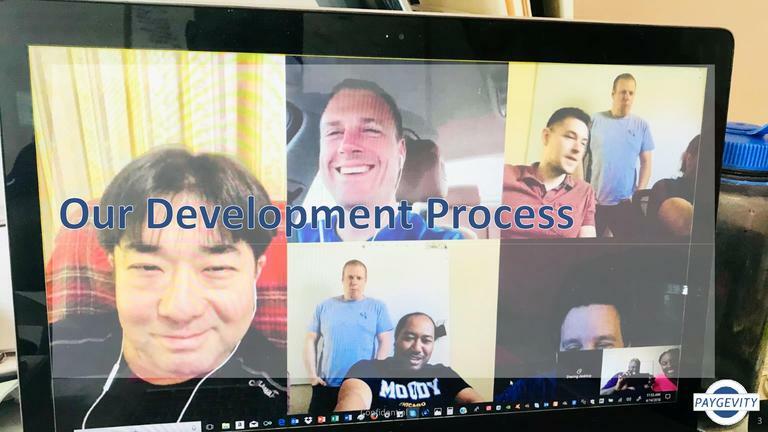 The highest conversion price per security is set based on a $11,000,000.00 Valuation Cap or if less, then you will receive a 17.5% discount on the price the new investors are paying. You also receive 4.0% interest per year added to your investment. When the maturity date is reached, if the note has not converted then you are entitled to receive Series CF Preferred Stock equal to your investment and interest back at a price per security determined by dividing the Valuation Cap by the aggregate number of outstanding equity securities of the Company as of immediately prior (on a fully diluted basis). See the Offering Document below for additional rights and preferences of the Preferred Stock these notes will convert into. Paygevity has completed the development of its proprietary PromptPay workflow product/platform. PromptPay has launched, is "live," and is in Minimum Viable Product (MVP) status. Paygevity has 4 "live" mandates from 4 different clients (large corporations/buyers) to join its platform. 2 clients are publicly-traded, and 2 clients are owned by Private Equity Funds. Revenue capture is expected to start in January 2019. Paygevity has already raised over $1.5 million in its first Convertible Note. 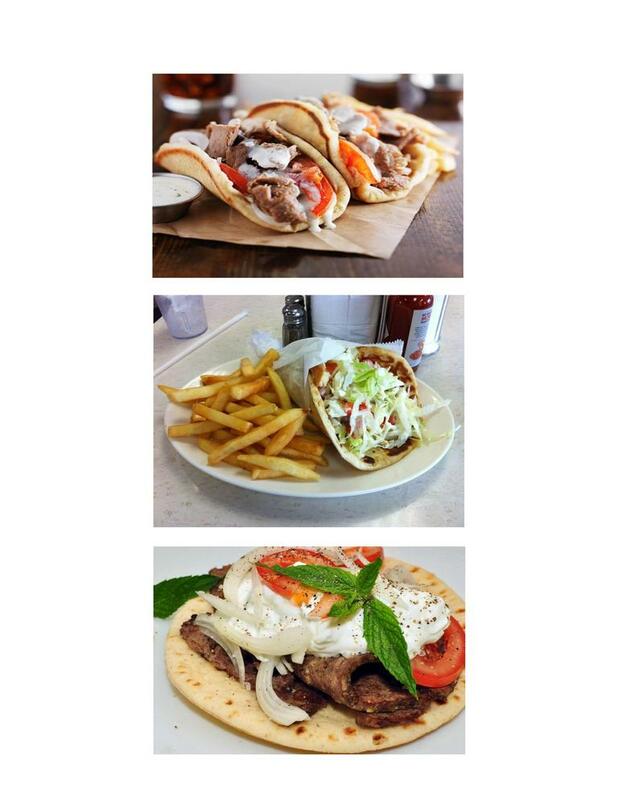 For the table above: We expect our cost of producing such revenues to be around 50%. There's a "supply chain fact" that is not known by most people. The fact is that most corporations approve invoices from their suppliers immediately; however, they do not pay their suppliers for 45, 60, 90 or 120 days. This is a lengthy "window of time" to wait in order to get paid. Through Paygevity's technological innovation, this window of time collapses. In other words, as soon as a corporation automatically notifies Paygevity's technology platform that it approved an invoice (i.e. the supplier's goods or services are satisfactory to the corporation), the supplier gets paid instantaneously. 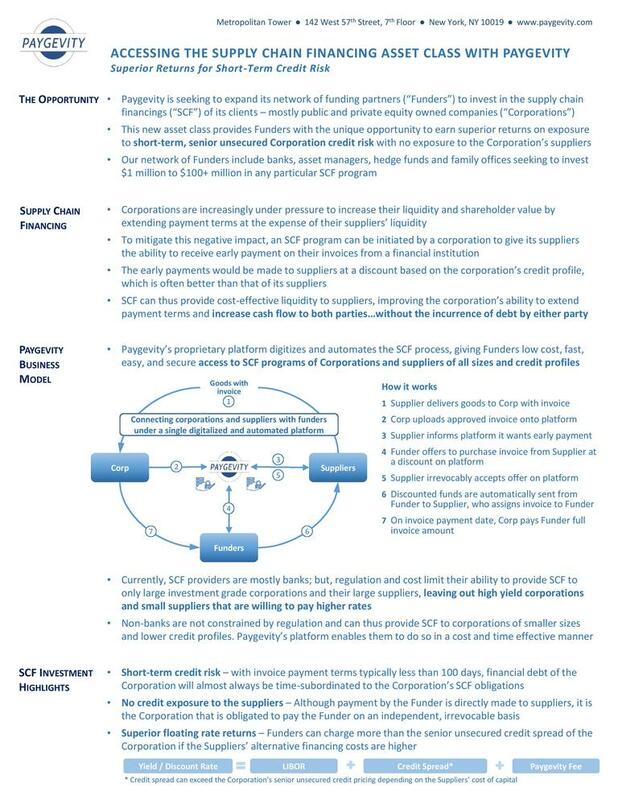 Paygevity is selling working capital flexibility to both the supplier and the corporation. Suppliers get paid immediately on their invoices at very slight discounts, and corporations are able to further extend their Days Payable Outstanding ("DPO") to 120 days and beyond. In addition, financial institutions gain access to a new credit-based asset class. It's a Win-Win-Win business model! Has the ability to scale very quickly. Has a recurring revenue business model. Paygevity will offer 10% additional bonus interest for all investments that are committed, within 24 hours of this offering going live, by StartEngine Crowdfunding Inc. shareholders who invested over $1,000 in the StartEngine Reg A offering which closed earlier this year. StartEngine shareholders who have invested $1,000+ in the StartEngine Reg A+ campaign will receive a 10% increase in the annual interest rate on Convertible Promissory Notes in this Offering if they invest within a 24-hour window of their campaign launch date. For example, if invest in the first 24 hours, your annual interest rate will be 4.4% instead of 4%. Time is running out to invest. Our campaign closes on April 30th. Join our journey with 80 other investors to revolutionize the supply chain finance industry! Help us make the world a better place for "mom & pop" suppliers. Our corporate client, a food manufacturer (Buyer), has asked Paygevity to reach out to hundreds of its suppliers to see if each one wants to get paid immediately on its invoices at a slight Discount. Paygevity generates its monthly recurring revenue from the Discount, on each and every one of these suppliers that elect to get paid immediately. Invest Now! Time is Running Out! Campaign is Closing in 8 Days! A Food Manufacturing Client of Paygevity -- Time is Running Out -- Join our Journey and Invest Now! Our client in the food manufacturing sector has decided to "unleash" working capital cash "trapped" within its supply chain by becoming a client of Paygevity. 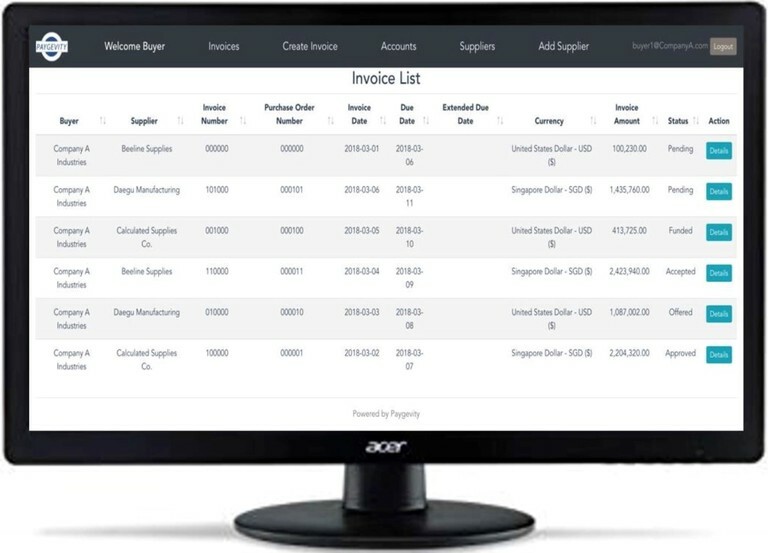 At the same time, and with the capital provided by one of Paygevity's many financial institutional partners, ALL of the suppliers to this food manufacturing client have the option to get paid IMMEDIATELY on their invoices. 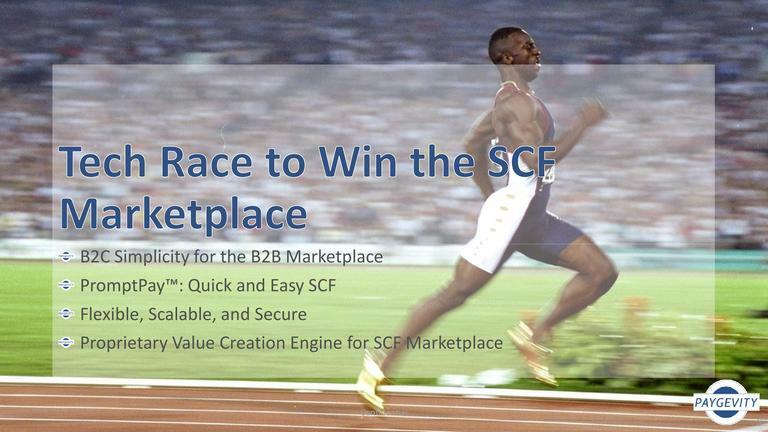 Invest now and join our race to win the supply chain finance marketplace! Paygevity Surpasses its Minimum Funding Goal -- Invest Now Before You Miss Out! 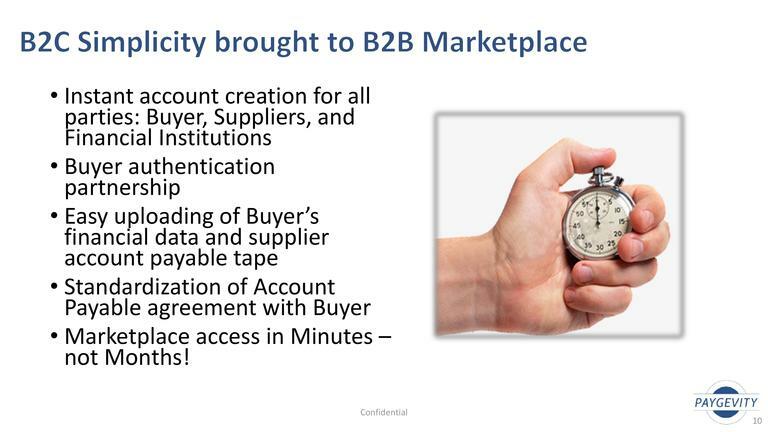 Your investment in Paygevity will bring B2C Simplicity to the B2B Marketplace! Don't miss out on the opportunity to invest in Paygevity -- thereby "democratizing" access to early payments on your invoices. Testimonial From an Investor in Paygevity -- Invest Soon Before Paygevity Closes its Campaign! 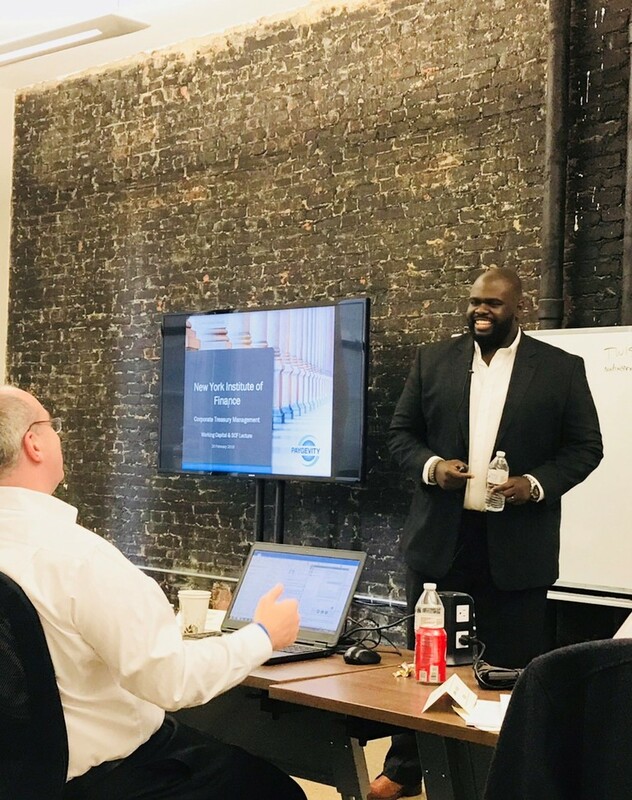 "As an Investor in Paygevity (and Supplier of services and benefits to many small and medium-sized businesses) I am a big proponent of supply chain sustainability. Many of my clients serve as the “bank” for their large corporate clients and have to wait 90 to 120 days to get paid. Paygevity solves this systemic problem with its PromptPay platform in an innovative way that is beneficial to all parties." Using a Laptop or Cellphone, the C-Suite will be Able to "Unleash" Working Capital Cash from their Balance Sheets -- Join the Revolution! 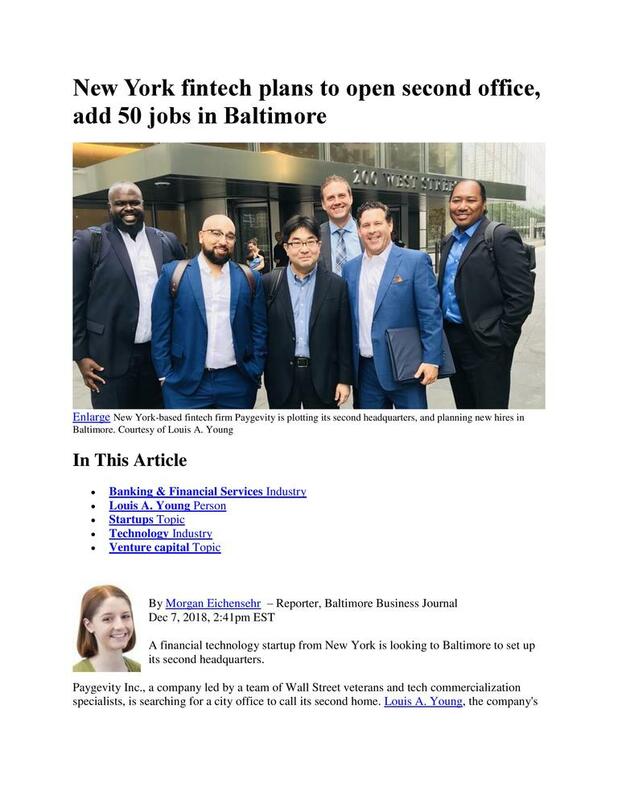 Institutional Investors, Financial Institutions, Buyers and Suppliers Speak Highly of Paygevity's Platform, PromptPay. Paygevity Accelerates Value Creation and Sales with Technology -- Wisdom Begins with Wonder! Our rich set of proprietary algorithms will end the tug-of-war that exists between Buyers and their Suppliers. 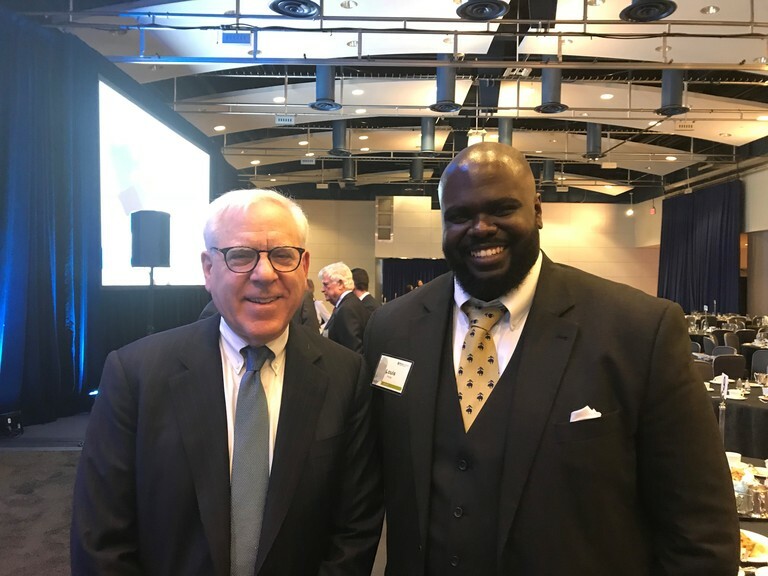 David Rubenstein, Co-Founder of The Carlyle Group, talks about the future of finance to Louis Young, Co-Founder and President of Paygevity. The Carlyle Group is one of the world's largest and most successful investment firms. It has over $216.0 Billion of assets under management and operates all over the world. 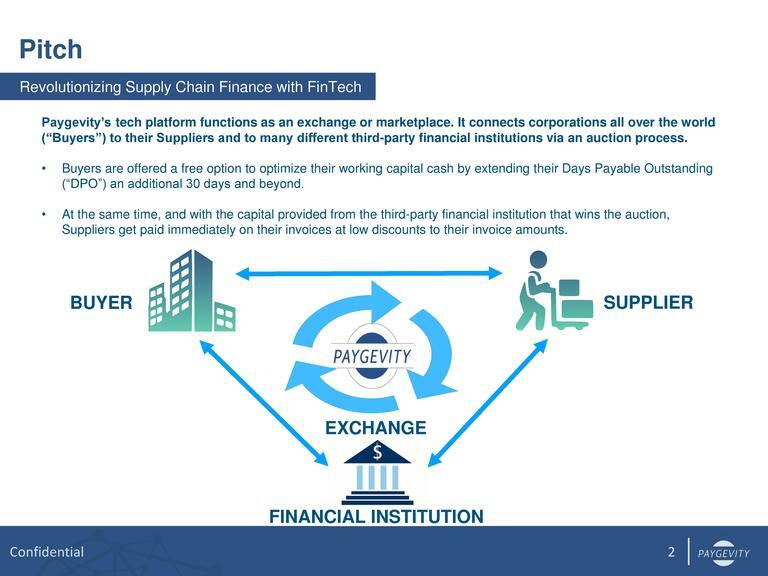 Your individual investment in Paygevity will help us revolutionize the Supply Chain Finance (SCF) industry! 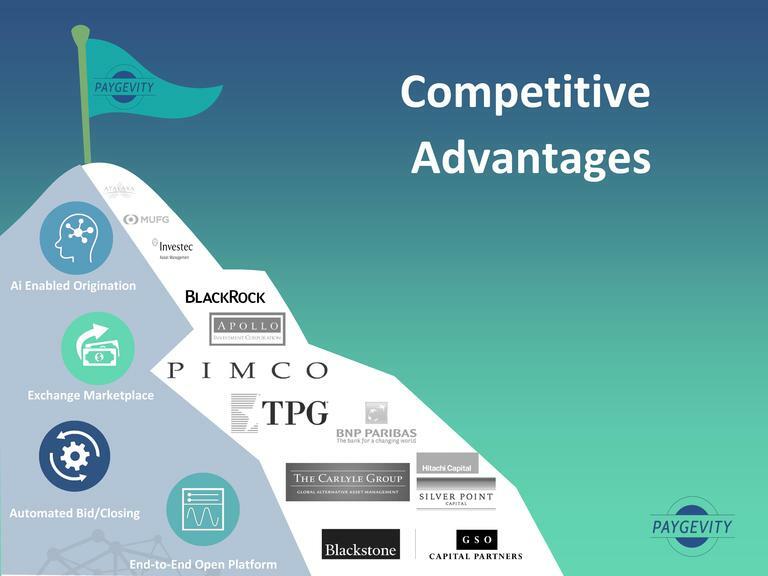 Investors in Paygevity are joining our journey to end the tug-of-war that exists between Buyer organizations and their Suppliers! An investment in Paygevity is an investment in the future of America's supply chain community! 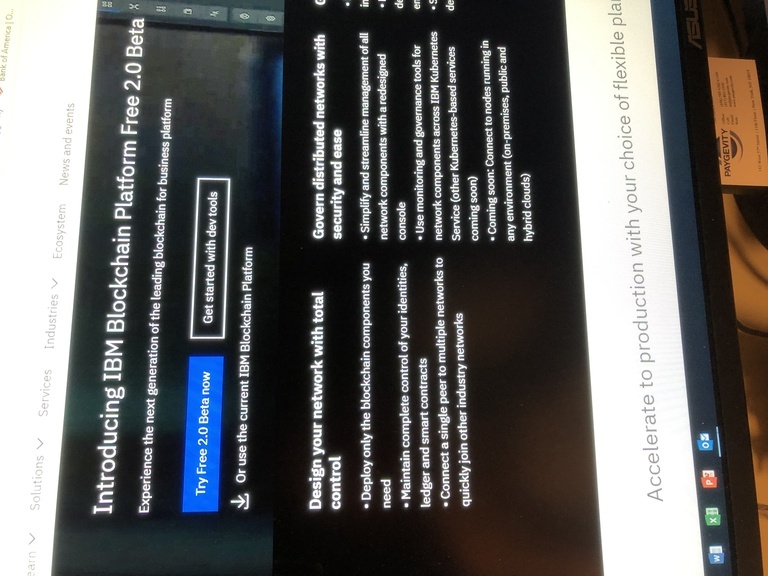 Please share our campaign with 1, 2 or 3 of your friends/investor contacts and let's CHANGE THE SUPPLY CHAIN WORLD -- TOGETHER! 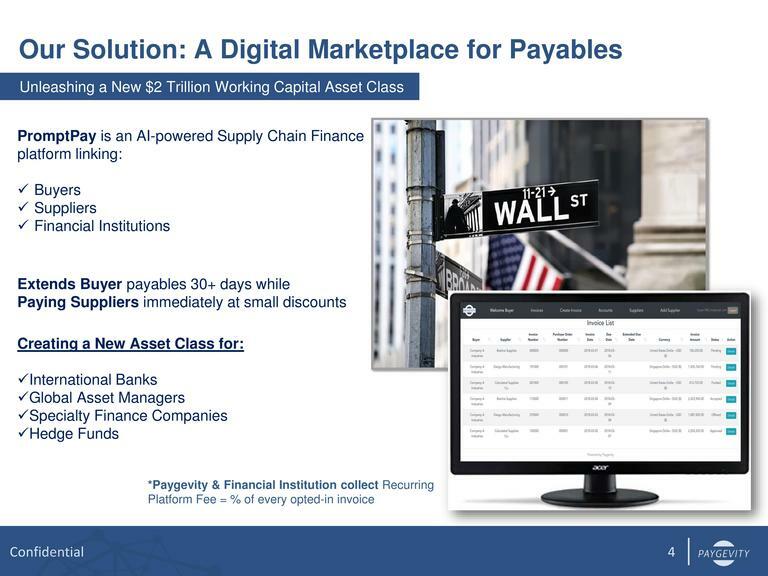 Paygevity is re-defining supply chain finance and payments in a digitized world! Can you imagine a world where corporate Treasurers and CFOs can free-up over $100.0 Million+ of its working capital cash from anywhere in the world with a click of a mouse? Can you imagine that same world where suppliers to these corporations never have to wait 45, 60, 90, or 120+ days to get paid on their invoices? 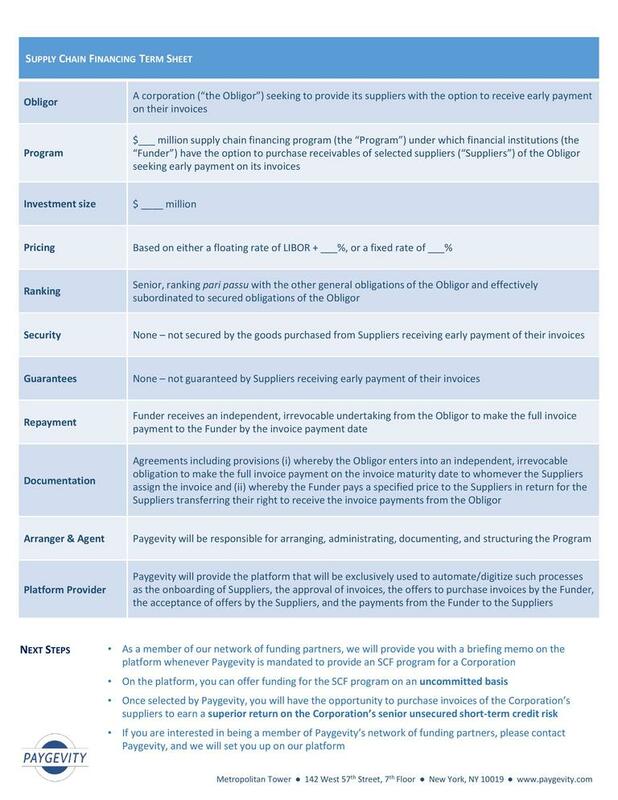 Paygevity, with the help of all of its current investors, is already transforming the timing of supplier payments. ....just ask a supplier how happy he/she is when he/she gets paid immediately on all of their invoices. 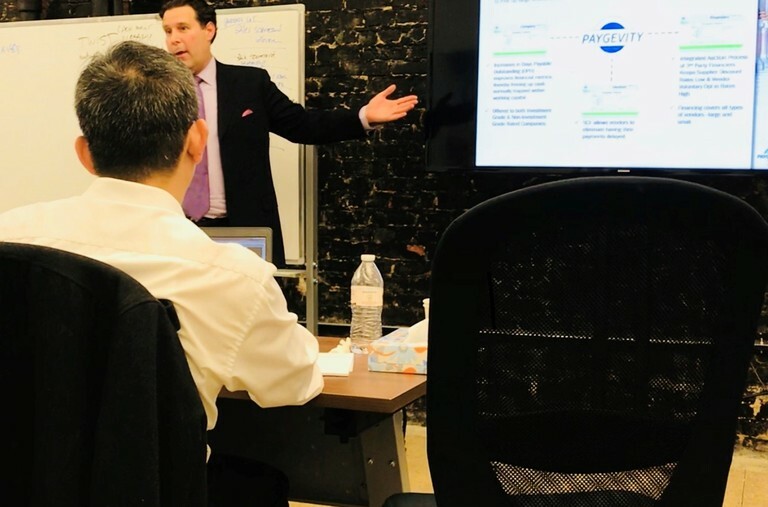 Through financial and technological (FinTech) innovation, Paygevity is solving an inefficient supply chain payment problem that has existed for the last half century!